Yesterday I went to the parish church, since the village church, St. John the Evangelist, had a family service with no Eucharist. As usual, I received a warm welcome back. It was a beautiful sunny day, the sky was a clear blue, and as I arrived and took the photo at the top of this blogpost Reverend Andy came over to put a new notice on the noticeboard. The church has taken all the names from the war memorial and is remembering each local man on the anniversary of his death, and there will be one of these services this week, remembering a man who died exactly one hundred years ago. It’s a wonderful thing they’re doing. As the bellringers started I stood outside and listened to the bells, it’s always such a treat. Reverend Andy told me about the changes made to the belltower. Apparently they can silence the bells and practise without anyone outside the belltower hearing anything. The church recently spent quite a lot of money having work done on the belltower; I believe it’s called repurposing. Anyway, a new floor was put in one storey up, and that became the new bell loft, and the space below became the area for refreshments and fellowship after services, with a small kitchen attached. At the same time, the wall between the bell loft and the sanctuary was replaced with glass, so from inside the church it’s possible to watch the bells being rung. After a wander round the church and some time listening to the bells, I went inside the church and had a chat with a few people, before sitting in the pew behind Eddie and Norah, faithful members of the church who have always been really kind to me. At the beginning of the service, Reverend Andy welcomed people, adding ‘ohayo’ in Japanese, which he had asked me just a few minutes before. The service was quite different from the one at St. John’s the week before. For a start, there was an organist playing the organ, and quite a lot of the liturgy was sung. Of course, the building itself is completely different; it’s almost one thousand years old in parts, with stone floors, while St. John’s is a repurposed space, carpeted, and with more light. The two lessons were read from the lectern Bible, and the Gospel was read with more ceremony. Then Reverend Andy climbed up to the pulpit and preached from there. I am reluctant to make sweeping statements about a priest’s preaching after listening to only two sermons, but I must say that I liked this week’s sermon much more than last week’s. 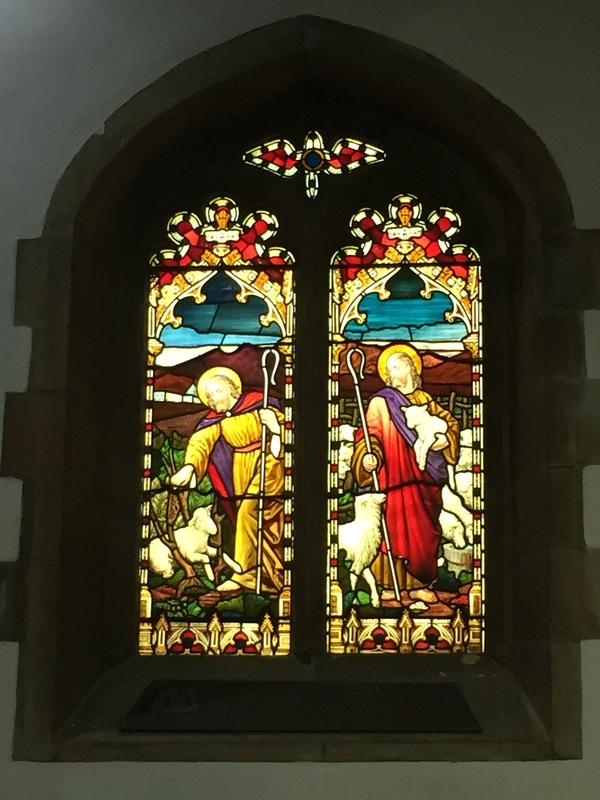 In contrast to last week’s sermon on Ephesians (‘If Christ does it then crack on and do it yourself’) this week’s meditation on Solomon asking for wisdom, and what kind of gift we might ask of God, and what he might want to give us, I felt gave us all a lot more to think about. The Eucharist was very moving for me. Of course it’s always the highpoint of the service, but sometimes it seems even more profound than usual and this was one of those times. The congregation is quite far away from the altar, so the walk up to the altar rail is further than usual in a parish church, and somehow that makes it feel more humbling to approach it. After the service I stayed for a little while, and talked to Hazel and Don, two of the bell ringers. They told me about their holidays in the United States, visiting and ringing different church bells. 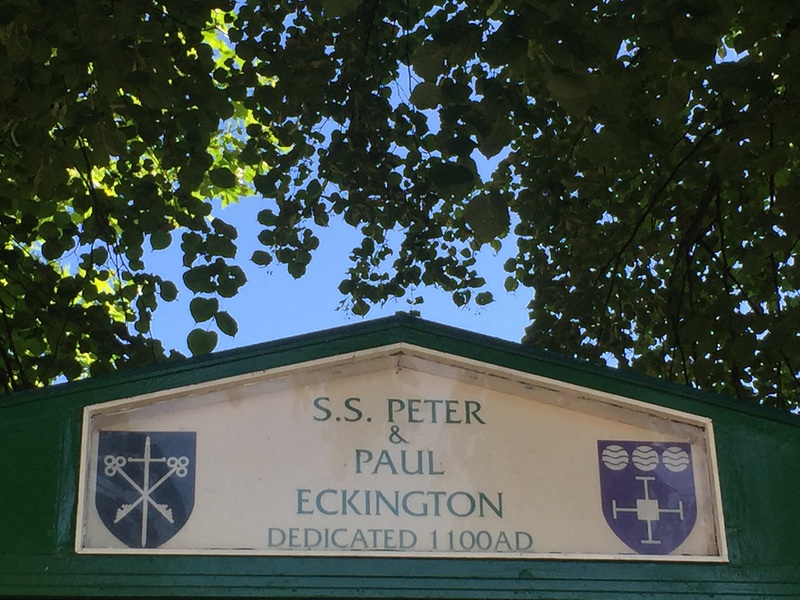 Don told me that Eckington church is a bellringing teaching centre, and offered to teach me next summer. Apparently six weeks is enough to learn the basics. I’m rather tempted to do it. Eddie told me that he and Norah are on kitchen duty next Sunday, so for my last Sunday in the UK for a while I’ll be there again, and I’ll help out in the kitchen with them afterwards. Eckington church is a wonderfully welcoming place. The congregation is middle-aged and elderly but faithful. People are warm and willing to have meaningful conversations in a way that I have not always found in other churches. I talked to Jill about her travels and life in Asia, and with Jean about the stained glass windows and how a church can be welcoming. Reverend Andy took time to talk to me even though he needed to get ready for the service, and afterwards spent time with others without seeming rushed, even though he had to go to St. John’s for their service at eleven o’clock. I had a brief conversation with my old headmaster, and was invited into the life of the church to learn bellringing and to help with kitchen duties. I am only there on a few Sundays a year but always feel at home, and am grateful to them all. 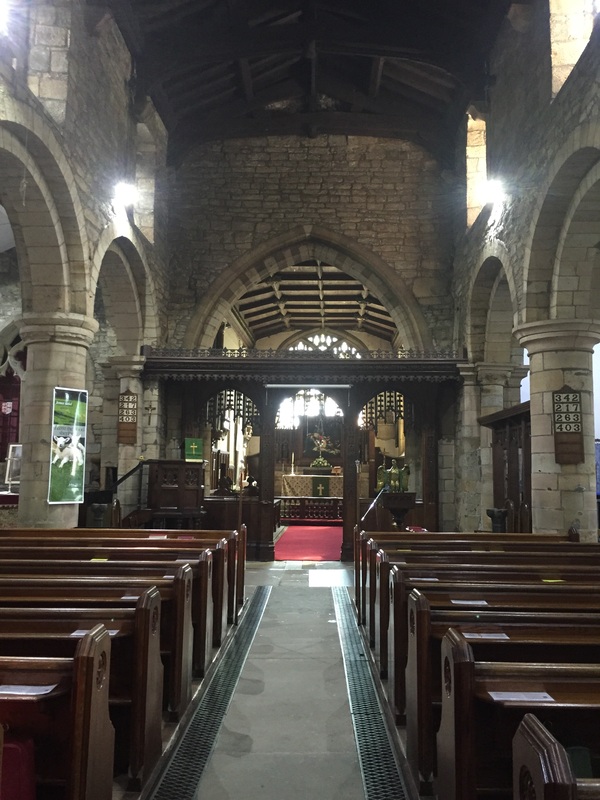 This entry was posted in Travel and tagged bellringing, Don, Eckington, Eddie, Ephesians, Hazel, Holy Communion, Holy Eucharist, Jean, Jill, Norah, parish church, Reverend Andy, S.S. Peter & Paul, Solomon, St. John by tokyopurplegirl. Bookmark the permalink.